ISLAMABAD:(APS) Pakistan has expressed deep disappointment over non-issuance of visas by India for the visit of the 503 Pakistani Zaireen to participate in the Urs of Hazrat Khawaja Moinuddin Chishti (RA) at Ajmer Sharif from 19-29 of this month. 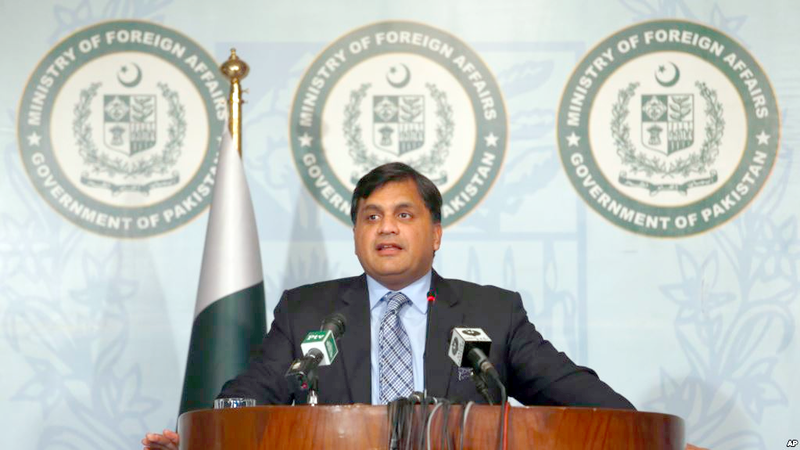 Foreign Office Spokesperson Dr Muhammad Faisal, in a statement, said that the visit was to take place under the 1974 Pakistan-India Protocol on Visits to Religious Shrines and is a regular annual feature. He said earlier, 192 Pakistani Zaireen could not participate in the Urs of Hazrat Khawaja Nizamuddin Aulia (RA) in Delhi in January 2018 due to the non-issuance of visas by India. Similarly, in February this year the Government of Pakistan had made all arrangements for the visit of 173 Katas Raj Pilgrims, who, regrettably, were forced to withdraw their applications from the Pakistan High Commission in New Delhi.